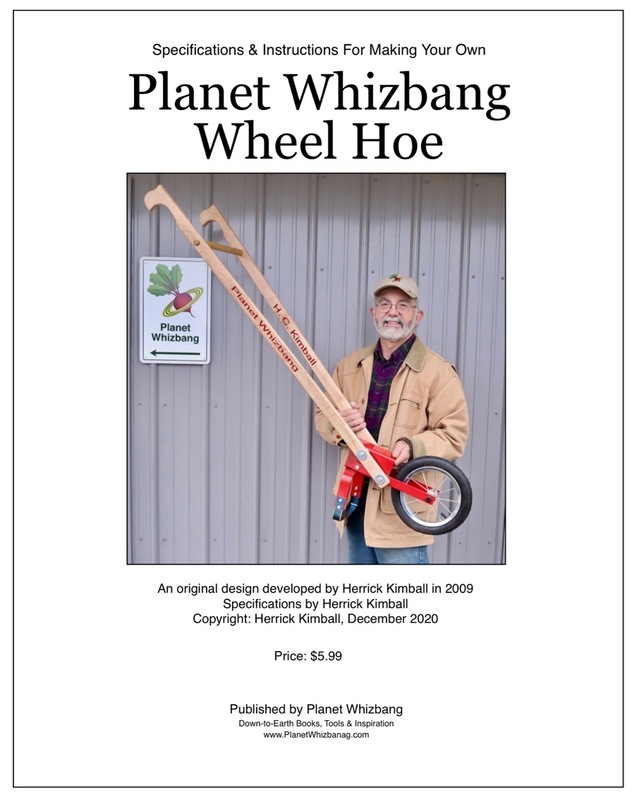 An 8-page pdf download with complete specifications for making a Planet Whizbang wheel hoe. This 8-page pdf download has all the parts specifications for making an inexpensive Planet Whizbang wheel hoe. The Planet Whizbang wheel hoe design was developed by Herrick Kimball in 2009. It is a remarkably efficient tool for cultivating the garden and destroying weeds. These specifications come directly out of "The Planet Whizbang Idea Book For Gardeners" (pages 93-100). If you purchase the book (available from Whizbang Gardening), you will get these specifications and a whole lot more. But if your only interest is in making the wheel hoe, this pdf download has all the pertinent details. Step-by-step assembly instructions for the Planet Whizbang wheel hoe can be found by clicking the "More Details" box below.